Heterodyned Radiofrequency Induction Field Emitter technology. 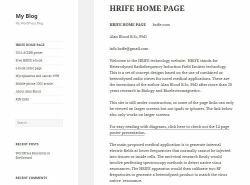 HRIFE stands for Heterodyned Radiofrequency Induction Field Emitter technology. This is a set of concept designs based on the use of combined or heterodyned radio waves for novel medical applications. These are the inventions of the author Alan Blood B.Sc, PhD after more than 20 years research in Biology and Bioelectromagnetics. Book: The Healing of Cancer: The Cures the Cover-Ups and the Solution Now! 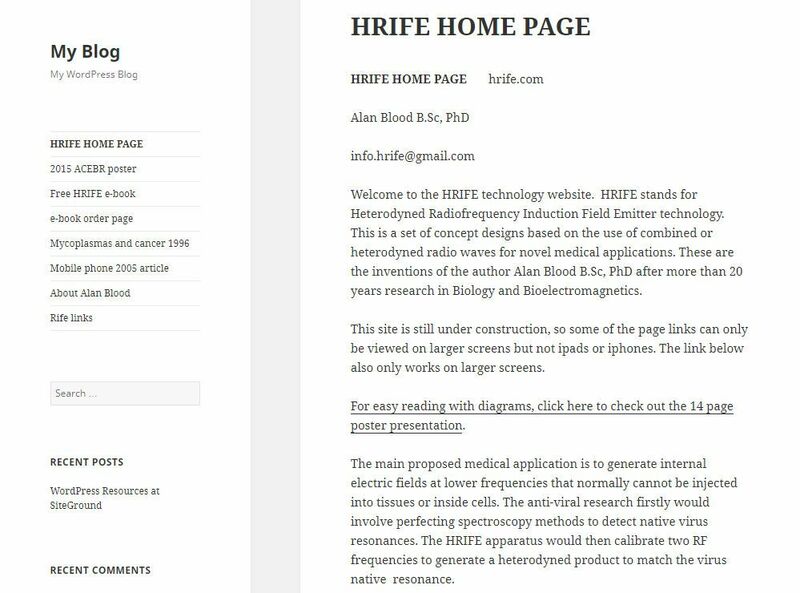 This website and eBook is something for researchers interested in technical / scientific aspects of Rife technology. 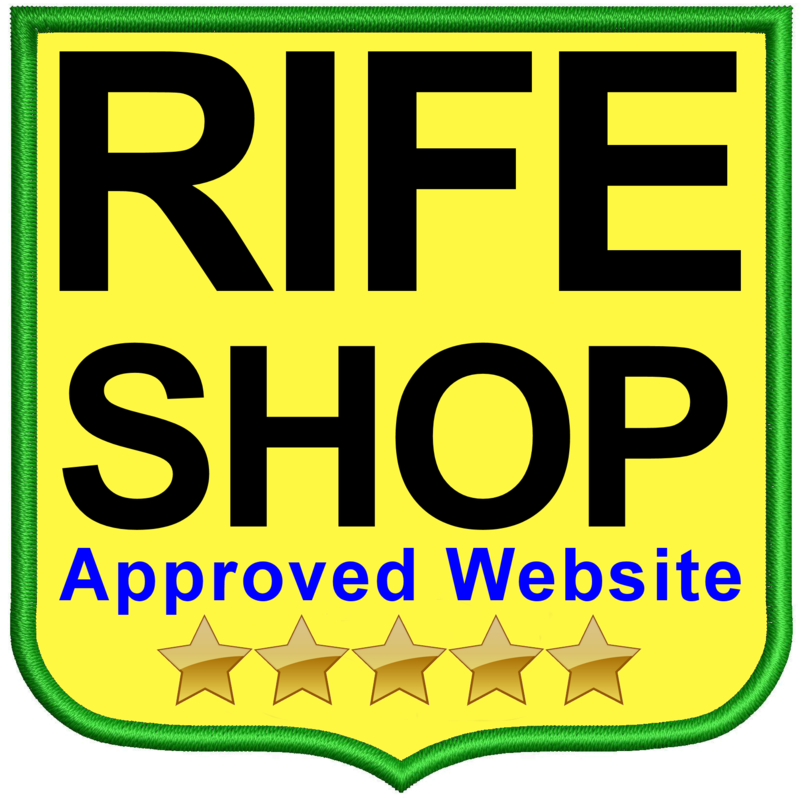 There is an interesting article and video on Alan's take on how the Rife microscope works and another eBook on heterodynamics released in 2018, Alan Blood is a long term member of the Rife community. The website, eBook and video are presented free, yet maybe too technical for the average person.